There are many real estate opportunities for active adults in the Colorado Front Range region. It is the most populous region in Colorado. 55+ communities in the Front Range region can be found, but not limited to, the following cities: Thornton, Lone Tree, Longmont, Golden, Denver, Broomfield, Aurora, Littleton, and Highlands Ranch. Active adult communities in the Front Range region range from small maintenance-free villa communities without an age-restriction to large 2,000-home communities with resort-style amenities. Like most regions, climate is based on location and Colorado has a complex climate. Generally, when elevation increases, temperature decreases and precipitation increases. Typically, summers are warm and dry with cool nights and winters are cold and snowy. 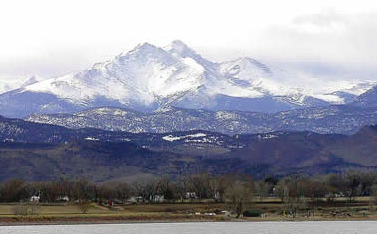 In terms of geography, the Colorado Front Range lies within the Colorado Piedmont in the valley between the South Platte and Arkansas rivers. It mostly includes Fort Collins, Greeley, Loveland, Longmont, Boulder, Golden, Denver s metropolitan area, Castle Rock, Colorado Springs, and Pueblo. The urban corridor also includes the state of Wyoming. Colorado s 55+ communities in the Front Range region enjoy great outdoor activities. It s the gateway to Rocky Mountain National Park with 425 square miles of recreation. Estes Park offers scenic views, stunning wildlife, forests, meadows, parks, and more. Whether you enjoy rafting, hiking, biking, skiing, camping, or fishing, you ll be sure to find an outdoor activity that sparks your interest. Owning a home in an active adult community within Colorado's Front Range means living near great opportunities for art and culture. Popular attractions include the Leanin Tree Museum of Western Art, Shakespeare Festival, public libraries, and performance theaters. Residents who live in a Front Range active adult community can also enjoy markets, outdoor concerts, and festivals throughout the year. Colorado is one of the fastest growing states and has an 8% higher cost of living than other states in the nation. However, residents of 55+ communities in the Front Range CO region feel that local taxes are more consumer friendly. There is no tax on Social Security and pension income up to $20,000 or the first $24,000, depending on your age. Retirees who live in active retirement communities near the Colorado Front Range are some of the healthiest citizens in the nation. The state of Colorado has the lowest obesity rate in the nation and an endless amount of options to use outdoor recreation for health and fitness. Colorado as a state has about 100 hospitals and 33 in the Denver metropolitan area, two of which are nationally ranked as a high-performing hospital.